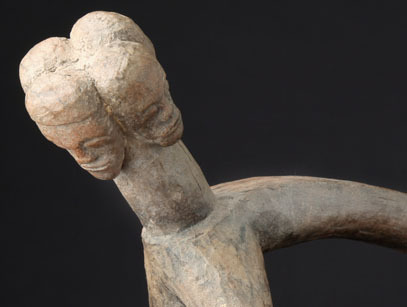 This unusual headrest from the Lobi people of Burkina Faso sits on three legs and features four carved faces. The design is very organic and has an almost surreal quality. It measures 21" in length, 6.5" in width and 9.5" in height.